My sleeping pattern has never been consistent. For as long as I can remember, I have always woken up several times a night for various reasons – I heard an unidentified noise and had to know what it was or I was plagued by a niggling idea that would not leave me alone until I wrote it down; perhaps I drank too much water before bed, my room was too hot or too cold, or an overnight storm stirred me from sleep with heavy rain slamming against my windows. These are trivial problems and there are solutions for most of them – earplugs to nullify nighttime noise, not overstimulating my mind before sleep, cool cotton sheets for warm nights, a heated mattress pad on cold nights. The arrival of RA brought new disruptions to sleep in the way of joint pain, but even that eventually faded into the lacklustre rhythm of a usual routine. And then a new and unpleasant development occurred – I found myself waking up every morning with a searing pain in my neck. My new bout of neck pain did not feel like the fiery pain of RA. Instead, it was an unpleasant stinging nettle pain that remained for most of the day, before subsiding a bit in the evenings. I decided to visit my OT when I discovered that I was waking up each morning with my pillow bunched into the crook of my neck in a most unpleasant fashion. As it turned out, my current pillow was not properly supporting my neck while I slept – in fact after some tests with pillows similar to my own, it was revealed that a large gap filled the space between my neck and my shoulders while I slept. It was time to invest in a new pillow. That very night a commercial from a local bedding store came on the telly advertising a lavender pillow – buy one get one free. I eagerly downloaded the promotional code number, thrilled about the prospect of having a lavender-scented (and colored) pillow. I love the scent of lavender. I remembered how I used to spray diluted lavender mist on my pillow at night to lull me into calming sleep filled with pleasant dreams. I enjoyed the soft fresh scent of it and adored its vibrant violet color. I couldn’t wait to lay my eyes on that beautiful mauve pillow and try it out. I was like a kid in a candy store, all excited about the prospect of spending my nights on a lavender pillow – little did I know that just because it was pretty and smelled great, didn’t necessarily mean it was going to give me the support I needed. Just like shopping for a mattress, it’s necessary to test out different types of pillows to find the right fit. Some pillows are designed for certain sleeping positions, so it’s important to figure out if you are a side sleeper, a back sleeper or a stomach sleeper. After testing it out, I discovered my coveted lavender pillow was too high for me, pulling my neck out of alignment with the rest of my body. Disheartened at the loss of my dream pillow, I tried other types of pillows, following the salesman’s recommendations, with little success, until he suggested I try a latex pillow. My lavender dreams disintegrated into purple ash as I envisioned chalky-white rubber gloves stuffed with goose feathers. Thank goodness it was nothing like it sounded. 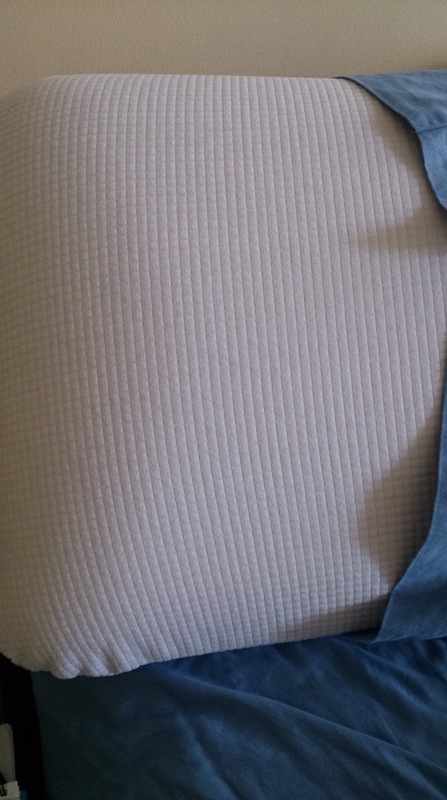 The latex pillow was crafted with plush cotton squares swollen with a smooth flexible fabric. The material was unbelievably soft with a bounce back feature that retained its shape. It was breathable, hypoallergenic and antimicrobial – no dust mites – but most importantly, it gently cradled my head, naturally filling in the gaps between my shoulders and my neck. I felt like Goldilocks in the house of the three bears – it was just right. I left the store with my new pillow, some peace of mind and a smidgen of disappointment – it wasn’t the lovely lavender color I had dreamed about, and it did not smell as such but it did provide the correct support for my neck. A decent sleep is important for everybody – for those of us with RA or chronic illness, it’s imperative. Our bodies are constantly fighting off the pain and inflammation of disease, and sleep gives us a chance to repair, rejuvenate and refresh – with or without a lavender pillow. 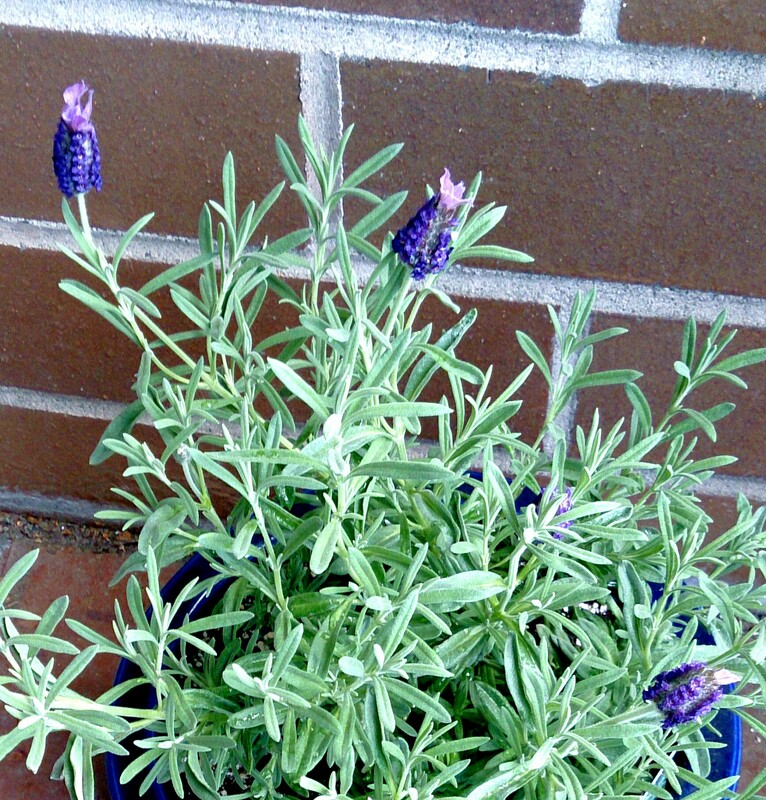 But all was not lost – my new pillow may not have been lavender-scented, but I had a delightful lavender plant bursting to life on my patio, just waiting for me to sprinkle its scented buds over my new pillow, sending me off into colourful visions of lavender fields beneath a summer sky. I probably would have thought the same thing. A latex pillow? But glad it turned out to be just what you needed. Now for some lavender mist . . .